Wondercon kicks off in a few hours in Anaheim, California and J.R.R. 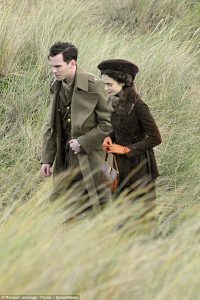 Tolkien and TheOneRing.net will have a big presence this year. 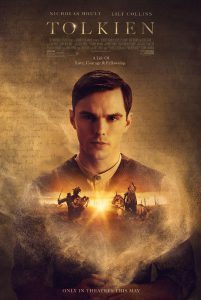 On Friday afternoon at 4:30pm, the panel for Tolkien, Fox Searchlight’s historical biopic about the early life of the author who would create Middle-earth will give numerous glimpses into the what the film has in store for audiences. The panel discussion will include Director Dome Karusoski, and actors Nicholas Hoult, Anthony Boyle, Tom Glynne-Carney and Patrick Gibson. The Panel will be moderated by our own Clifford “Quickbeam” Broadway, and will be in the Arena at the Anaheim Convention Center. 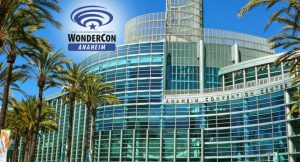 More details can be found at the WonderCon sheduling page here. On Saturday we will be having our own panel discussion at 3pm in room 213CD covering the Tolkien film, the Morgan Library exhibit in New York and all the activity regarding the Amazon Middle-earth TV Series. We will also have a very special surprise for attendees that you won’t want to miss. In fact, you should make plans to be occupied for the rest of the evening on Saturday. We can’t say much more, but if you have been paying attention to the internet chatter about Wondercon, you may know the surprise already. 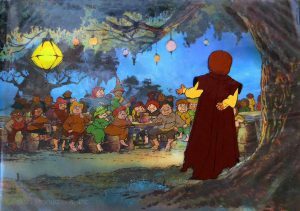 Just look for “There and Back Again: A Tolkien Store” at Wondercon and come visit us. Details can be found here. TORn staff have been busy mixing things up a little bit this year. 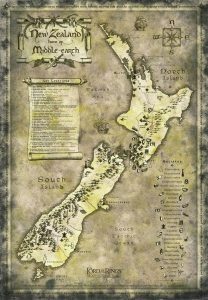 With Amazon Prime floating all these versions of Middle-earth Maps, we decided it would be fun to take some familiar and some not so familiar Middle-earth locations and spread them out in a Bracket and let you readers decide which destination is your favorite. This year’s madness will be known as Middle-earth Map March Madness for this reason, so you may want to pull out your books and start looking at your maps. Sure, we’ll have some handy little guides to help remind you of some of the more obscure locations, but in the end, this will help you get ready for Amazon’s series, if their teased maps are any indication. 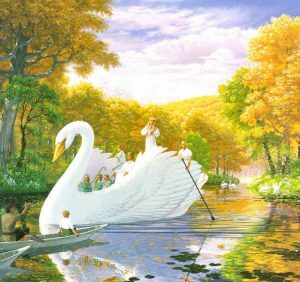 We’ve decided upon a rather simple format of divvying up by books, giving one quarter draw to locations within Silmarillion, one to places found in the Hobbit, and one to locations found in the Lord of the Rings. To fill out the fourth quarter draw, we separated the Shire from the other books and gave it a place of it’s own. So, our final Four will include one location from each of these draws, but will your favorite Middle-earth locations even make the cut? We are still finalizing the draw, which basically consisted of various staff members tossing out loads of names until we had a good 20-25 from each segment, then we began voting to narrow each Quarter draw down to just 16 selections. We hope to have things ready to go in the next few days, so make sure to vote and keep track of the game as it moves through each round. Is Amazon Studios scouting LOTR filming locations outside of New Zealand? 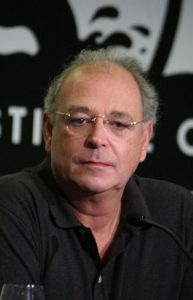 You may not know his name, but outside of being a co-investor in the LOTR films, Samuel Hadida through his Davis-Films production company and his Metropolitan FilmExport distribution company in France helped make or distribute numerous films you would have heard of, including the Resident Evil franchise, True Romance, and the Silent Hill films and this year’s Hunter Killer. This reporter first encountered Samuel Hadida at San Diego Comic con when he brought Solomon Kane to Hall H in 2009. He was a champion of indie and genre films, and without his output deal with New Line Cinema, Lionsgate and Dreamworks, we might not have ever gotten the LOTR or the Hunger Games films. Solomon Kane panel at SDCC 2009 with Samuel Hadida second from left, Director Michael J Bassett and actor James Purefoy on the right. AICN’s Quint was the moderator on the far left. The last big comic con of 2018 takes place in Los Angeles next weekend and TheOneRing.net will be there with not one, but two panels. Both panels take place on Sunday, October 28 in Room 306. 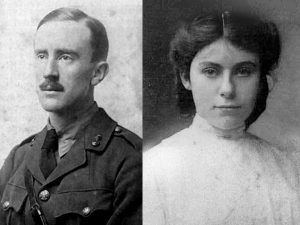 The first will take place at 11am and is called “I am no Man: The Women of Middle-earth”, and you guessed it, the panel will focus on some of the amazing, heroic women who inhabit the deeper legendarium created by Professor Tolkien. The second panel will be at 2pm and is entitled “Dispatches from Middle-earth: New Tolkien projects on the Horizon” and will be a comprehensive update of both the Tolkien Biopic and the new Amazon Studios Lord of the Rings production. 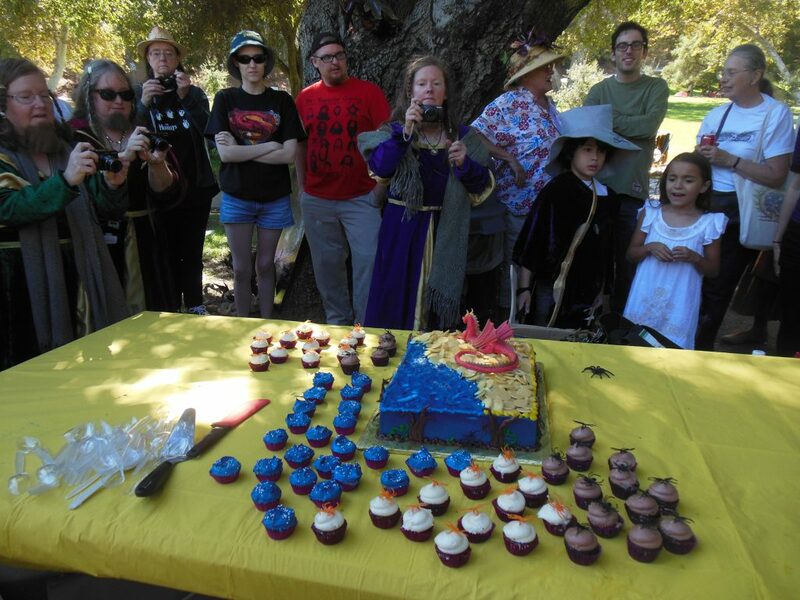 It’s that time of year again, when SoCal Shire Folk gather together to celebrate the joint Bilbo and Frodo Baggins birthday on September 22. All gentlefolk are requested to gather at the Mineral Wells location within Griffith Park this Saturday beginning at Noon, and running until about 5-6pm. As usual, there will be good food, a Middle-earth themed cake contest, lots of good fellowship and cheer, and costumes are always welcomed and encouraged. This event is a potluck, so please check our Facebook event page for details on what is being brought and what is still needed. That page will be updated all week long, so keep checking to see if there is something needing to be brought. Also, down at the bottom of the event page are directions and a link to map in case you are a first time attendee. Last but not least, we will have some guests from a combat league that use padded weaponry to simulate medieval combat, and they will be available to train anyone, young or old, in some sword play. If you are still looking for something to do this Labor Day weekend, you might check out Regal Cinemas’ screenings of the Lord of the Rings trilogy of films in their extended editions on RPX screens, in select theaters. The screenings run from Friday, August 31 through Thursday, September 6, and each day they change the order of the films. This will allow people with limited time off to find a time that works best for them in order to get to see each of the films, if they are not able to do a 12 hour marathon. And the best part? Each film is only $5 in most cinemas, but the screenings are on the RPX screen, which is one of the large format theaters, meaning you get a huge discount over the current blockbusters sharing time in the theaters this weekend.